Everyone enjoys saving a bit of money here and there. Therefore, it is important to know the tips needed to save you money. You want to make the most of the remodel that you’re having done and through the use of these tips, you can ensure that it is done the right way. Take the time to go through these tips to find out if they can help you save a little extra cash in the process. You will be glad they did and the remodeling contractor can work with anything you can get your hands on. Salvage things as much as you can, second hand is a good way to go about this. Think of a style you like and then see if it is in a second-hand store. Consider looking at estate sales for an older-like appearance. Find deals in stores on flooring, paint and other items that might be required. Stores sometimes have big sales that you can get your hands on. Go with energy efficient items and low flow toilets and sinks to save additional cash in your utility bills. This is a great way to go in the long run. You’re helping the environment and being able to save extra every month. Work with the contractor to find out if they’re able to get their hands on any deals for the materials that can be used inside your new bathroom. If it is not broken and it still goes with the remodel look then keep it. There are many ways to cut corners when it comes to bathroom remodels, but you want to make sure you’re not cutting the corners too much. 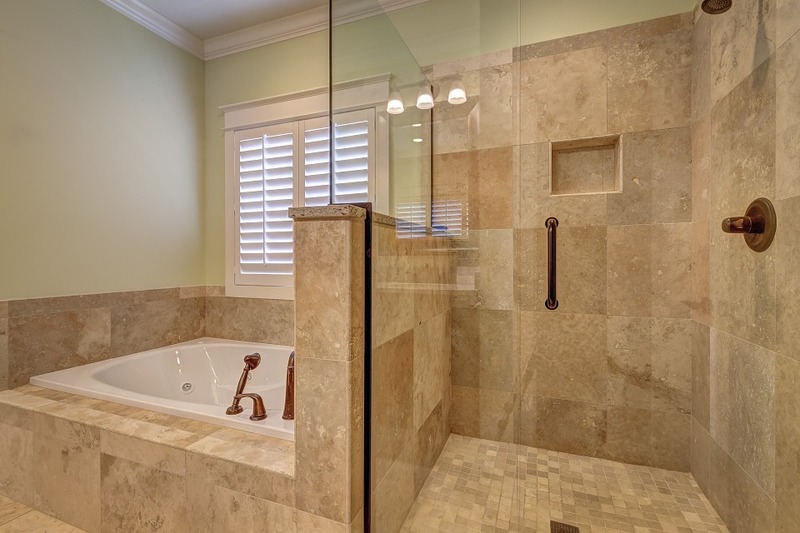 You want to have a great looking bathroom remodel, but this means going with the best items. Call the local bathroom remodel contractors here to find out additional ways to save money during those bathroom remodels or fill out the form to have someone contact you!